A tetromino is a figure made of four squares joined edge to edge. A hexomino is a figure made of five squares joined edge to edge. 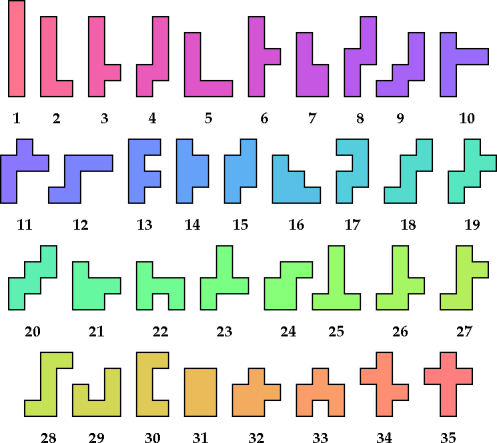 There are 5 tetrominoes and 35 hexominoes, not distinguishing reflections and rotations. They were first enumerated and studied by Solomon Golomb. The websites and the articles show only minimal solutions with no restriction. 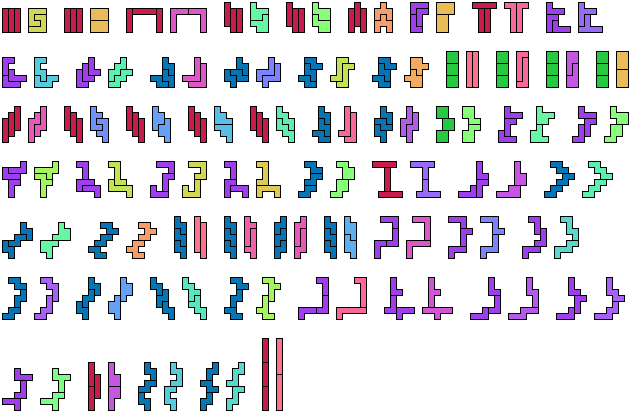 Here I show minimal known tetromino-hexomino compatibility figures without holes. If you find a smaller solution or solve an unsolved case, please let me know. 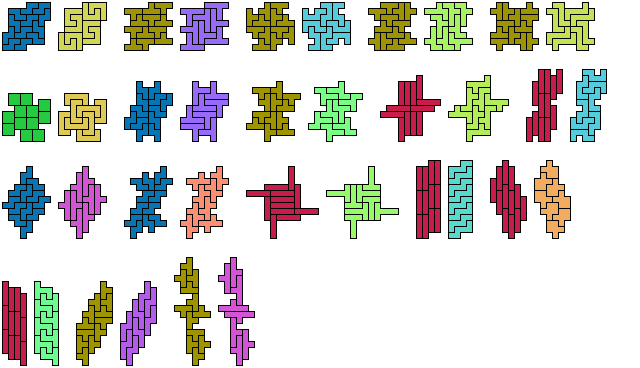 For pentomino compatibility with or without holes, see Pentomino Compatibility. 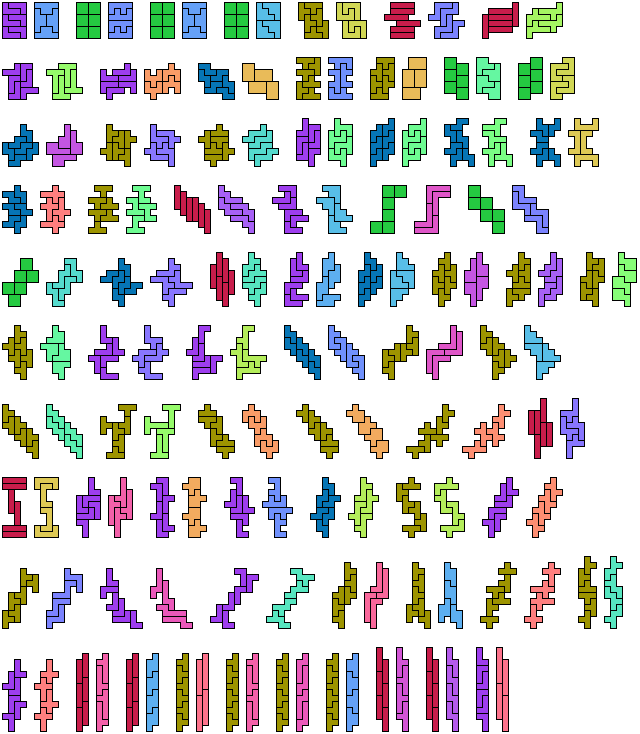 For tetromino-pentomino compatibility, see Tetromino-Pentomino Compatibility.